LEDGlow’s Yellow Wireless SMD LED Underbody Lighting Kit universally fits 126 ultra-bright yellow SMD LEDs housed in (2) 46” and (2) 36” underbody tubes to any car! 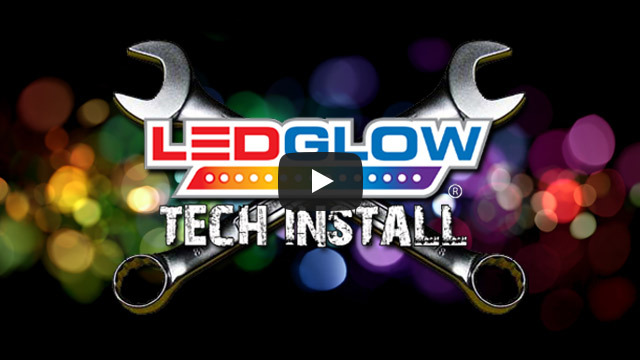 LEDGlow’s new and improved Yellow Wireless SMD LED Underbody Lighting Kit universally fits 126 ultra-bright, wide angle SMD LEDs housed in (2) 46” and (2) 36” underbody tubes to any car. Featuring a flat mount tube design with 15 degree angled mounting brackets that take up less space than the previous model, this revamped underbody lighting kit produces a much brighter and stronger color spill that surrounds the bottom of the vehicle for a custom, head turning look! Buy LEDGLOW LIGHTING if u want the brightest, sharpest look for ur toy ! Im 56, drive a Grabber Orange Mustang GT & these lights add so much pizzazz to her ! Highly recommended !! Yellow underglow on my truck is awesome!!!! THESE LIGHTS ARE AWSOME. EASY INSTALL AND THEY LOOK GREAT. I'M A 50 YR OLD MAN GOING THROUGH HIS SECOND CHILDHOOD.WISH THE HAD THESE THINGS WHEN I WAS YOUNGER ! WOULD RECOMEND TO EVERYONE NO MATTER THE AGE !!! !